Flu vaccinations are mandatory for all registered horses and ponies and they must be in possession of a valid flu vaccination certificate. It is the owner's responsibility to ensure that the horse's vaccinations are up to date and correctly recorded on the diagrammatic vaccination record. Spot checks will be regularly carried out at shows. The horse/pony must have received two injections for primary vaccination against equine influenza given no less than 21 days and no more than 92 days apart. Only these two injections need to have been given before a horse/pony can compete in competitions. In addition, a first booster injection must be given no less than 150 days and no more than 215 days after the second injection of the primary vaccination. Subsequently, booster injections must be given at intervals of not more than one year apart. Please do not bring any equine to the venue which has been vaccinated for flu in the last seven days, or which is known to have been in contact with any potentially infected animals, or which is in any way showing any signs of any potential illness. It is the equine owner’s and rider’s responsibility to ensure that they are fully compliant with these regulations and requirements. Follow The NCPA & Like our Page! Please complete this form to reserve advertising/photo space in the 2018 Year Book. Forms must be accompanied by remittance NO LATER THAN 30th NOVEMBER 2017 Please ensure that you own the copyright of all photographs. POYS trophies can be taken to Equifest and left at Hackamore Saddlery Stand and also the BSPS Summer Championships. Could anyone who is thinking of taking them to either please contact Sandra Moncaster (07974 568992 moncaster7@aol.com) beforehand to make arrangements. It is with great sadness that we report the passing of Malcolm Bewsher A funeral service for Mr Bewsher will be held at Staveley Church on Friday, May 26 at 10.00am. (off the A591 Kendal to Windermere road) followed by cremation at Beetham Crematorium at 11am Further details if and when known will follow. Malcolm was dedicated to the Northern Counties Pony Association, helping at events and promoting the shows and our members through his many journalistic appointments. He will be a loss to the equestrian community. It is with great sadness that we report the passing of Tim Mansfield, husband of our Past President, Liz Mansfield –Parnell of the Rotherwood Stud. A funeral service for Mr Parnell will be held at St Helen's Church in Ashby on Monday, April 24 at 12.30pm. Please do attend the Points Presentation & AGM evening to collect your Points rosettes, & trophies. This is also the night for all prospective NCPA panel judges to have their interviews. Wilmslow Road, Woodford, Cheshire SK7 1RJ at 7.30pm. A hot meal, dessert and our guest speaker Liz Mansfield-Parnell, past President and founder of the famous Rotherwood Stud, will combine to make the evening a memorable night. Do come along to a super social evening & catch up with friends! Numbers are limited so book early to avoid disappointment. Accommodation can be booked direct with the Deanwater – please mention NCPA to receive a discount on your room rate. SPILLERS® to partner Showing Awards for 2017- 3rd year running. Redpin Publishing, organisers of the Showing Council/Showing World Show Personality of the Year Awards are excited to announce that SPILLERS® will be partnering the 2017 Awards to be held on 21st October. This marks the third year in a row that SPILLERS® have joined the awards as our Partner Sponsor. Now in their eighth year, the Showing Council/Showing World Show Personality of the Year Awards attract over 500 attendees to the glittering Oscars style night at the East of England Showground. The Show Personality of the Year awards is the largest awards programme within the showing world, created to celebrate successes and personalities within showing. The 2016 awards were a record breaking event receiving over 3000 nominations and 40,953 overall votes. Nominations for the 2017 awards open on 1st February. Redpin Publishing would like to thank SPILLERS® for their continued support of the awards. Please note that from the 1st January 2017 the list no longer includes BS/EN1384: 2012 (or prior year suffix). The new European standard will be allowed once finalised and be will advised in due course. Skullcaps must be of, or worn with, a dark coloured plain peaked cover. The JMB are going paperless in 2017. From 1st January we will no longer issue or update measurement certificates. All measurements will be put on the JMB online searchable database and that shows the animal’s details, when the last measurement was carried out and what type of measurement it was. When registering, please print out a screenshot of the online JMB measurement. The JMB will require payment before a measurement takes place. Owners of ponies will be required to apply for a measurement online and pay by credit/debit card or cheque. The fee for payment by credit card will be £87.00 and cheque £90.00. Measurers will also submit the results of measurements online and together with prepayment by credit card this will mean that measurements will appear online very quickly afterwards. Cheque clearance will still mean a delay in measurements being processed for at least 10 days. Please complete this form to reserve advertising/photo space in the 2017 Year Book. Forms must be accompanied by remittance NO LATER THAN 30th NOVEMBER 2016 Please ensure that you own the copyright of all photographs. A reminder please that all trophies from the 2015 Pony of the Year Show must be returned to Mrs Sandra Moncaster by 1st August: Email: moncaster7@aol.com Sandra will be at the North of England Shows & BSPS Championships for those who wish to return them by hand, rather than by post. The 2016 Showing Council/Showing World Show Personality of the Year Awards supported by SPILLERS® are back and bigger than ever – and voting opens today (Wednesday 1st June). 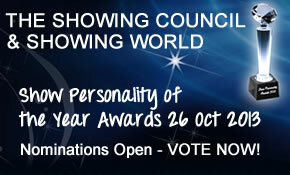 Following a record number of nominations, finalists have been selected and now voting is open for the showing world to select their category winners. Winners will be announced at the 7th Annual Gala Dinner Presentation Evening which will be held on 22nd October at East of England Showground. To be held at 1.30pm on 28 February 2016 at Penrith Golf Club, Salkeld Road, Penrith CA11 8SG. Open to Members and Non-Members but only Members will be entitled to vote. WEDNESDAY 17th FEBRUARY 2016 at Glebe Farm, Bronington, Whitchurch SY13 3HU. Places for this will be on a first come first served basis and are for adults as well as children. Suitable small groups will be arranged based on age/experience of animals/riders. Please note the office will be closed from Tuesday 10th November until Tuesday 17th November. Anyone wishing to register any animals or renew their membership for 2016 may do so through the website, but no registration cards will be mailed out until the office reopens. A reminder please that all trophies from the 2014 Pony of the Year Show must be returned to Mrs Sandra Moncaster: Email: moncaster7@aol.com Sandra will be at EQUIFEST & BSPS Championships for those who wish to return them by hand, rather than by post. Sadly the committee of the Lancashire Branch have been informed of the death of Mr Stan Durrans, who was a previous Chairman of the Branch. Mr Durrans died after a short illness. Condolences are offered to his family at this sad time. This sad loss follows so soon after that of Gwen Ashworth, an NCPA Honorary Life Member, and staunch supporter and member of the Lancashire Branch committee. Again, condolences to the family from all at NCPA. A hot meal, dessert and our guest speaker will combine to make the evening an enjoyable night. Do come along to a super social evening & catch up with friends! Numbers are limited so book early to avoid disappointment. Those members who have applied to join our judging panel – don't forget this is your opportunity to attend your mandatory interview. 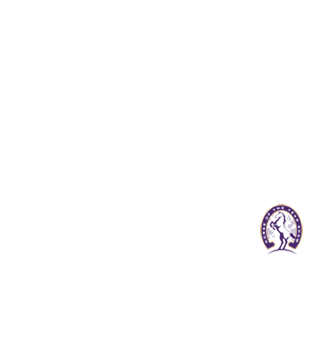 The Scottish Horse Show has completed negotiations and is delighted to announce that the venue for its 2015 show is the Royal Highland Showground at Ingliston near Edinburgh. 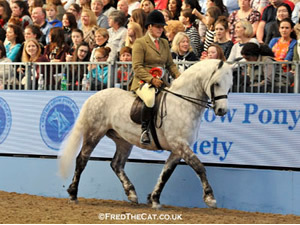 The show has bid for its usual qualifying classes for the prestigious Horse of the Year Show as well as requesting reinstatement of its ridden Welsh qualifiers and Mountain and Moorland Working Ponies as well as some new qualifiers. The show is now finalising its judges for next year and hopes to announce these shortly. Please note the office will be closed from Monday 6th October until Monday 13th October. The Trustees have agreed that any person wishing to apply for membership/renewal from 1st November will have that membership carried over to cover 2015. This is a great opportunity to save on entry fees at the LANCASHIRE BRANCH WINTER SHOW on 2nd November at Myerscough College, Preston or at CUMBRIA BRANCH WHP SHOW on 16th November at Greenlands EC, Carlisle. Unfortunately the committee have been unable to find a suitable date for the branch Summer Show this year, and therefore will not be holding one. We apologise to any disappointed competitors. The current committee of the NCPA Cumbria Branch have given notice that they will be stepping down with immediate effect following the branch show on June 7th 2014. Without a committee it will be difficult for the branch to continue as a separate group so perhaps there are members, past or present, who feel they could take on these roles. Anyone who might be interested but worries that they don’t have the knowledge to do it on their own would be able to call on Main branch for continued help and could perhaps persuade their friends to become more involved too. Please don’t be shy! 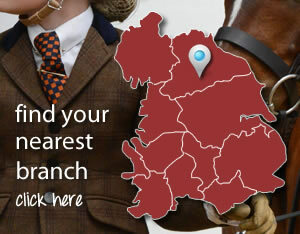 Your barnch needs you! The Northern Counties Pony Association President, Mrs Elizabeth Mansfield-Parnell opened the evening by wishing a warm welcome to all present at the meeting, in particular the guest speaker Mr Terry Pendry LVO BEM Stud groom & Manager to HM The Queen, and his wife. Members had travelled from as far a field as Scotland, County Durham and Leicestershire for the meeting and to hear our speaker. The business of the AGM was swiftly dealt with, with all members present unanimously approving the previous AGM minutes and the 2013 Accounts and the auditor was reappointed for 2014. There were no questions from the floor, neither was there AOB submitted, or raised on the evening. Mr Terry Pendry LVO BEM Stud Groom & Manager to HM The Queen presents Lancashire member Tina Carswell with her 3rd Place in the 2013 Arthur Smith Breeders Awards. The secretary Janet Bushell, gave a brief report in order that members might fully enjoy our wonderful guest. She thanked the Trustees of NCPA for taking the bold decision to completely revamp the website, with a new provider Equine Affairs, and reported that this had been a great success & that members could really be kept up to date at the touch of a keyboard. Also the decision to "go on line" had definitely been the correct one. She thanked Entrymaster Ltd for powering all the new systems and their patience in the development of our unique system & the training of herself to use it. Although this was currently a very steep learning curve for her luddite tendencies, and had greatly increased her work load for 2014, she was positive that it was the way forward and the real benefits for the members would also reduce her workload for 2015. She felt that NCPA, although not one of the largest organistaions, was now at the forefront of equine showing, not only for the good value for money and the variety it offered to its members, but also for the technical innovation it offered to make transactions easy for all. The evening then continued with the 2013 awards, which were presented by the our guest speaker Mr Terry Pendry LVO BEM Stud Groom & Manager to HM The Queen. 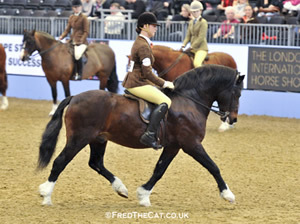 Unfortunately Debbie, Countess of Shrewsbury, who had claimed a first for NCPA in its Golden Jubilee Year, by winning both the In Hand & Ridden breeders awards with her wonderful Chetwynd Welsh ponies, was unable to attend. Despite recognising the honour she had telephoned the office to say that sadly she would be at Cheltenham and therefore be unable to receive her awards in person. 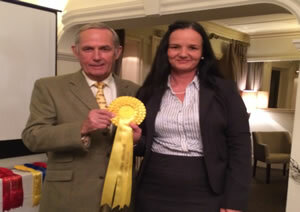 Only Tina Carswell was there to collect her award in person, and was photographed receiving her rosette from Mr Pendry. This year's In Hand points winner had the highest margin the secretary had seen since taking office over 12 years ago and the photos of the pony in the Golden anniversary yearbook showed why. The winner of the Ridden Points was also unique. 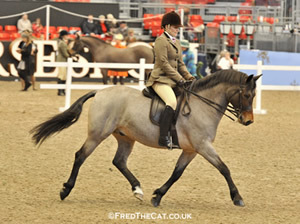 Henrietta Barton had bred the very successful pony herself & he had been beautifully shown in Lead Rein classes by her young son Henry Barton Smith. Henrietta would be having to take a less hands on role for 2014 however, as Henry would be "going solo" this year, thus helping to make the 2013 award even more special. The secretary also made special mention of the Mundell family who had travelled all the way from Scotland to receive their awards gained in both the Ridden and In Hand sections and wished them all further success in the 2014 season. There followed a wonderful talk from Terry Pendry. NCPA were honoured that he had taken the time to come from Windsor Castle to share his memories of life with the Royal family and their horses, and indebted to HM The Queen for allowing him the time to do so. The slide show, accompanied by wonderful music, took those present through the full cycle of Royal life, from quiet personal moments to the wonders of full ceremonial displays. It emcompassed the sadness of Royal loss, with memories of the Queen Mother's funeral, and displays of rousing National triumphs, showing fly pasts by the Red Arrows, Spitfires, wartime bombers & also Concorde. We were honoured to share this record, as the only other copy is in the archives at Windsor Castle. Thanks were given by a round of applause for her Majesty, from all those present. Everyone then enjoyed an excellent hot supper and choice of deserts and the evening stretched on into an enjoyable social time for all those present, some of whom were staying the night either at the Deanwater Hotel or at other nearby accommodation. 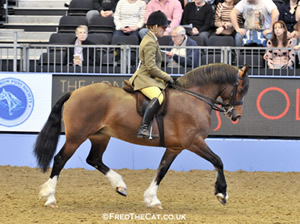 CONGRATULATIONS TO Lancashire Branch member SANDRA BURTON riding her CONNEMARA FLY THE LAST FLUTE OLYMPIA CHAMPION 2013. Also congratulations to Cheshire member JADE PIRIE riding DEAGOL the BEST OF BREED EXMOOR and Derbyshire member CHARLIE OAKES riding BUCKBERRY EMILE the BEST OF BREED SHETLAND. Also congratulations to KATE BAXTER the breeder of 4th placed MARLEYDENES SHIRAZ (New Forest) and MARLEYDENES NASHAAL and JANE STEEPLES the breeder of MORRY IMARI (Welsh D). Also congratulations to Yorkshire branch Chairman MARGET HALL & her husband, owners of Welsh C finalist MENAI THOMAS. 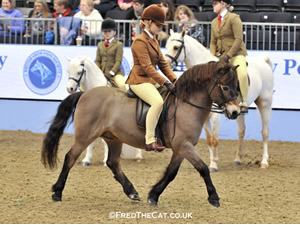 This class will recognise and promote quality ridden ponies whose breeding in part is either Arab or Welsh, or a combination of both.Purebred Arab or Welsh animals are excluded from this class. Please click here to download the document from Horse of the Year Show regarding the New classification. As from 2013 all NCPA panel judges will be required to attend at least ONE judges conference every FIVE years. 2013 is the first in the five year cycle. There are currently no plans in place to hold a separate conference for our panel & so members who are also on BSPS, NPS, PUK, Show Horse Association or Sport Horse GB panels may count that society's conference as covering their requirement. For M&M panel judges who are not also on other mixed breed panels, they may count their breed society study days/conferences. For all other judges, the conference to count will be the annual conference held by the SHOWING COUNCIL. For 2013 this is to be held in conjunction with the SHOWING COUNCIL/ SHOWING WORLD AWARDS on SATURDAY 26th OCTOBER at the EAST of ENGLAND Showground. Attendence is at the conference is FREE & should be a most enjoyable & informative day. 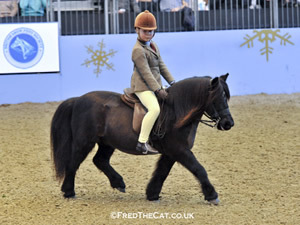 2014 is the GOLDEN ANNIVERSARY of the Northern Counties Pony Association. Many extra ways to celebrate are in the planning stages. It is hoped that all our members who are breeders will take advantage of the early publication of this yearbook (Jan/ Feb 2014) to promote their stud and support NCPA in what will surely be a much sought after edition. Likewise we hope members who have businesses (equine related or not) will support the association by advertising in the 2014 edition which goes out to approximately 1000 households. The OPEN MEETING held on WEDNESDAY 15th MAY 2013 (8.00pm) was a very productive and informative evening. New and renewed memberships were taken and the branch now has an enthusiastic group of people willing to form a new, expanded committee, to take the area forward. Further details will be sent to all members when names, dates and contact details have been finalised. Lyn Dorey-Adams attended the meeting, but felt unable to join the Association, so the Trustees accepted this statement as her resignation. Brenda Gray also attended the meeting, and was pleased with the new offers of support, but has since tendered both her's and Donna Basham's resignation. The Trustees of the Northern Councties Pony Association offer their thanks to the above for their previous hard work for the branch.